i am so, so excited to be hosting this giveaway from Clean Mama Printables! i have admired her and her organization skills for a long time! 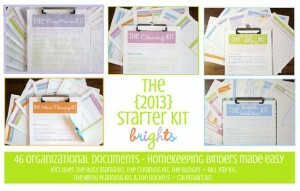 who doesn’t want to become a more organized person this new year?! 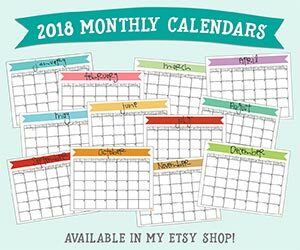 i’ve tried to be with my own diy calendar, but Clean Mama Printables has a much more extensive way of making your life more organized and in as easy a way as possible. 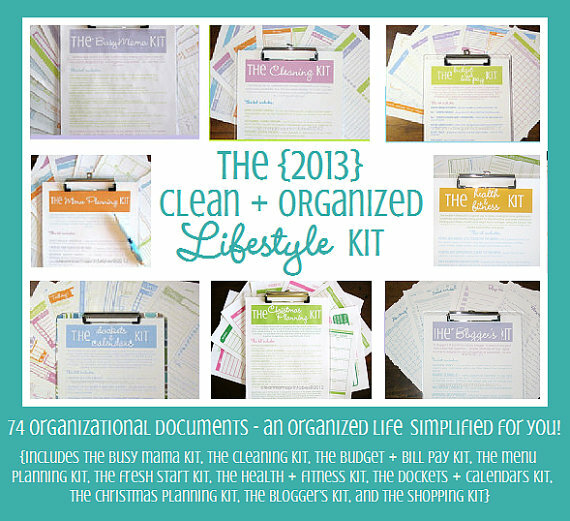 keep reading to see how you could win Clean Mama’s 2013 Clean + Organized Lifestyle Kit, worth $65.00! plus, use the code at the end of this post to capitalize on a discount for Live Craft Eat readers at Clean Mama Printable’s etsy shop! Check out Clean Mama on Pinterest as well. It’s the New Year and time for organizing resolutions and habits! Becky of the Clean Mama blog and Clean Mama Printables thinks that homekeeping and organizing should be adorable, fun AND easily implemented into your life. Clean Mama Printables is THE BEST place to get homekeeping printables that REALLY work for you AND make your life easier! 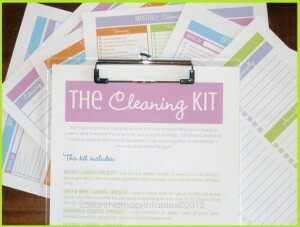 Clean Mama is giving away 1 Clean + Organized Lifestyle Kit to Live Craft Eat readers! Want to get started getting organized right now? Clean Mama has a special code just for Live Craft Eat readers – use the code 20LCE for 20% off your entire order at Clean Mama Printables! The perfect giveaway for a mother of 4 with 2 jobs and a new house. LOVE, LOVE, LOVE livecrafteat.com. I love this clean and organized lifestyle kit and I may have to use that 20% off code. Unless I win the giveaway of course. 😉 I love all the bright colors and that Cleaning Kit especially looks awesome! i know, sweet deal, right?! her stuff is awesome. good luck in the giveaway!! Darn Think I missed it. What a great giveaway. I’ll try again next time. yes, darn it! BUT she has an etsy shop 🙂 http://www.etsy.com/shop/CleanMamaPrintables and she’s got some fabulous things over there!